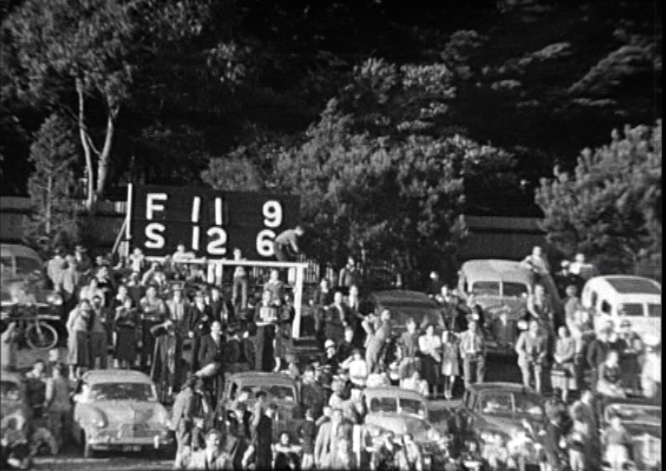 Photos courtesy of Mornington Peninsula Nepean Football League history committee. Now, that’s a scoreboard. 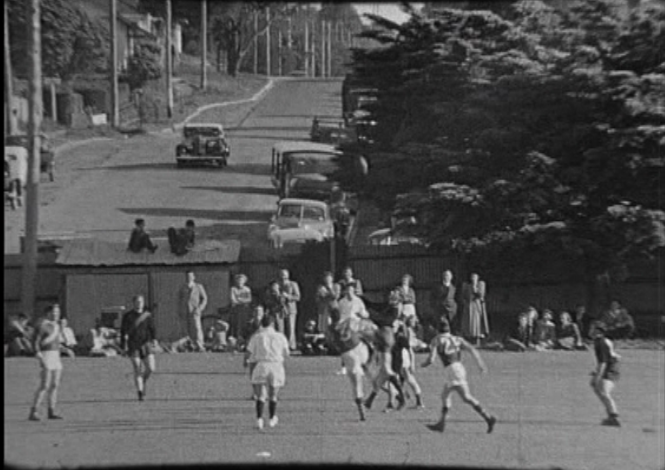 Fantastic footage here from the 1953 Grand Final at Frankston between Frankston and Sorrento, won by Sorrento by three points. 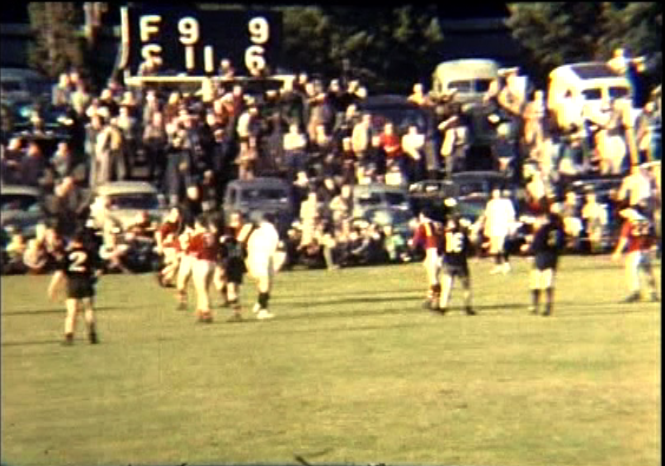 Sorrento kicked one more goal, Frankston two. 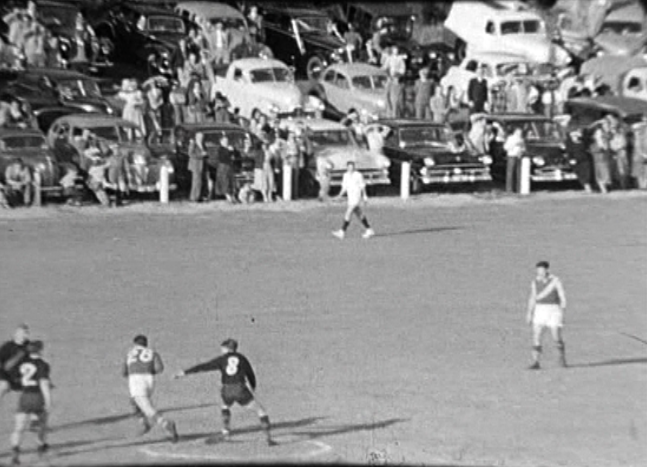 Many thanks to The Local Footy Show (which screened parts of this game on Friday 5 September) and especially to Doug Dyall and Russell Jacjung of Mornington Peninsula Nepean Football League history committee. Brilliant. Love the cars. Love the street. But mostly love the scoreboard.